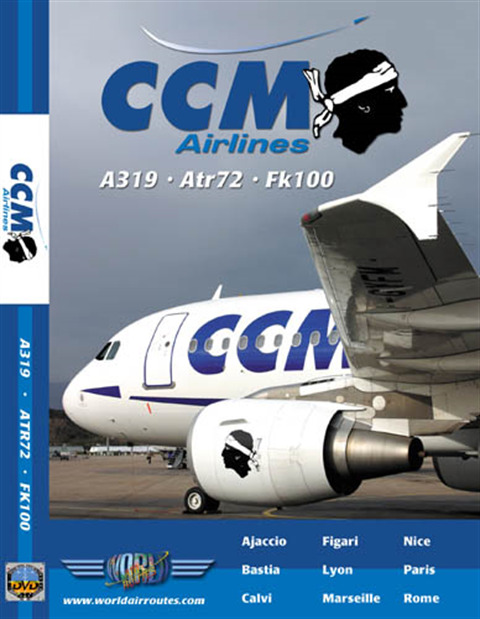 CCM Airlines was founded in 1989 and started operations between Corsica and destinations in France. The airline's fleet is composed of Atr72s and Fokker 100s ; since 2002 CCM started replacing its Fk100s with new Airbus A319s. The airline signed a deal with Air France and now operates routes in partnership with as well as on behalf of Air France. CCM has gradually expanded its network to cover around 20 scheduled destinations and many more on a charter basis. This dvd takes you in the cockpit of each of the airline's types of aircraft and includes some flights in the cabin.